Supposedly these are questions posted on an Australian Tourism Website and the answers are the actual responses by the website officials. 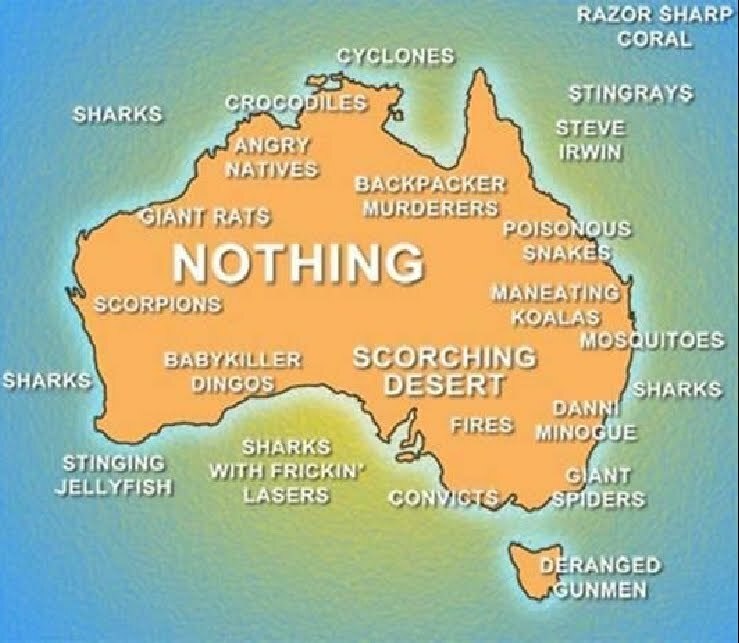 I can't confirm if this is true, but from what I've heard about Australian humor, it wouldn't surprise me. Don't drink anything while you're reading these, I don't want you spewing over your keyboard. A: A-fri-ca is the big triangle shaped continent south of Europe. 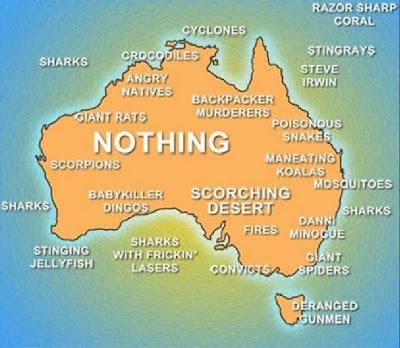 A: Aus-tri-a is that quaint little country bordering Ger-man-y, which is... Oh forget it. Sure, the Vienna Boys Choir plays every Tuesday night in Kings Cross, straight after the hippo races. Come naked. A: No, we are a peaceful civilization of vegan hunter/gatherers. Milk is illegal. Too right! It's a real rip snorter! G'day Mate. I love a good silly session! "High-lair-ee-us!" So, can you, or can't you see Kangaroos on the street? Join me for the hippo races Tuesday night. I'll be the naked one wearing high heels. And all of these people vote.